Eliane is a highly accomplished Senior Executive, Entrepreneur, Consultant, Thought Leader, Professor, Academic, Author, Public Speaker, and Board Member with 20 years of success in healthcare, biotech, life sciences, genetics, genomics, technology, environment, agriculture, higher education, sustainability, non-profit, and consulting. Leveraging extensive experience in international business, leadership, and entrepreneurship, her broad areas of expertise include international development; R&D; management consulting; executive mentoring; public/private strategic alliances; change and risk management; process improvement; intellectual property (IP); tech transfer; program/project management; commercialization; licensing; patents; bioproducts; software development; biodiversity; peace building; budget planning; grant and technical writing and high performance team building. In her executive career, Eliane has held leadership positions with The Innovation Partnership Non-profit Consultancy and in the biotechnology sector with Genevision; and Warnex. She is the founder and executive director of the Center for Leadership Excellence in Applied Research (C.L.E.A.R. International Development Inc.). She advances multidisciplinary R&D, impact investment, and leadership development in the 4th industrial revolution to deliver environmentally-conscious growth in global emerging economies. Her specialties also include circular economies, gender, STEM, molecular biology and genetics, R&D management, intellectual property and bioinformatics management, impact investment assessment, and African technology and innovation. Currently as Professor of Practice for Public-Private Strategic Partnerships, Eliane has directed executive leadership training for next gen individuals and senior executives in government, healthcare, and international development; established collaborations across the U.S., Canada, and Africa; led new drug and medicine discoveries for infectious disease treatments; and raised $2M+ research funding. As Founder and Executive Director of CLEAR International Development, Eliane has spearheaded executive leadership training globally for women in science; fostered numerous public/private partnerships worldwide for sustainable economies development; designed and conducted leadership development for the government of Kenya, International Red Cross, and International AIDS Alliance; and established green growth economies in Africa and Haiti. Eliane is an expert with a vast reach of accomplishments across scientific, medical, environmental, political, and artistic disciplines – including global health, gender equality, climate change, agriculture, and poverty reduction with a focus on practical innovation and prosperity creation. 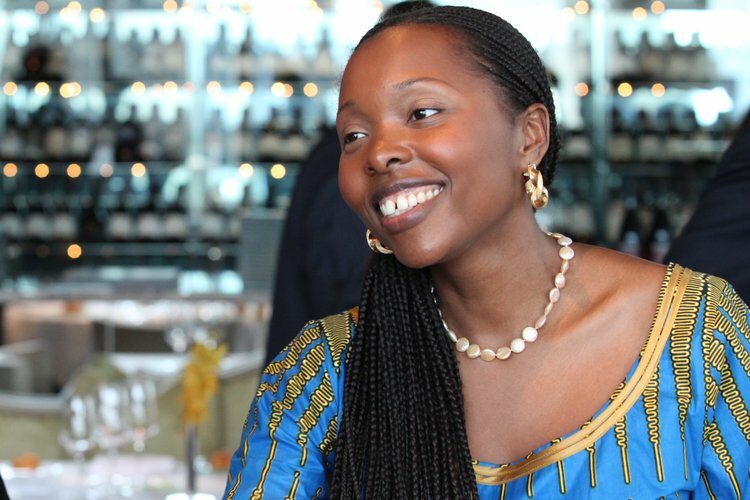 She has developed and delivered specific programs and initiatives in Rwanda, South Africa, Botswana, Kenya and Haiti. Eliane’s scores of speaking and writing credits include her TEDx talk “Reimaging the World from Scarcity to Prosperity”, and critical contributions to the book Creative Social Change: Leadership for a Healthy World. Eliane has been tapped by governments, corporations, foundations, and think tanks worldwide for her expertise. She is honored to be part of Dūcere Global Leaders Faculty, comprised of presidents, prime ministers, Nobel Prize winners, government ministers, entrepreneurs, scientists, academics, and CEOs of some of the world’s leading companies. She is a Founding Signatory of the Fuji Declaration launched in Japan in 2015. Eliane earned a B.S. in Agriculture, and an M.S. and Ph.D. in Molecular Genetics from McGill University. She has achieved further international professional development with extensive professional certifications, volunteer commitments, and patent filings. Eliane serves on boards and advisory councils, including for World Wide Fund for Nature (WWF); International Leadership Association (ILA); Rwanda’s Presidential Advisory Council and National Science and Technology Council. She speaks English, French, Kinya-rwanda, basic Spanish, and notions of Italian. Her interests include piano, voice, photography, enology, poetry, yoga, and hiking.